Has it really been two years since we last saw the Spacebook that gScreen intended to offer? Sure has. Looks like it is finally available for pre-order and the specs have been upgraded too. 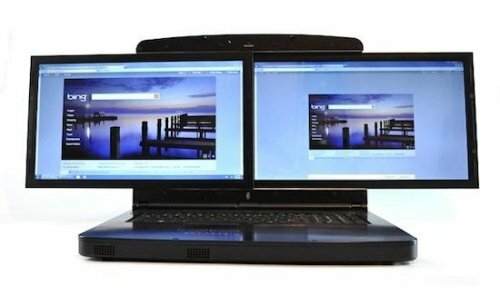 You might remember that it features two full 17.3-inch monitors that with 1920 x 1080 resolutions. The entry level model starts at $2,395, with a Core i5-560M processor, 4GB of RAM, and a GeForce GTS 250M GPU with 1GB of VRAM. The high-end model has a Core i7-740M CPU and 8GB of memory, with the rest of the specs the same for $2,795. 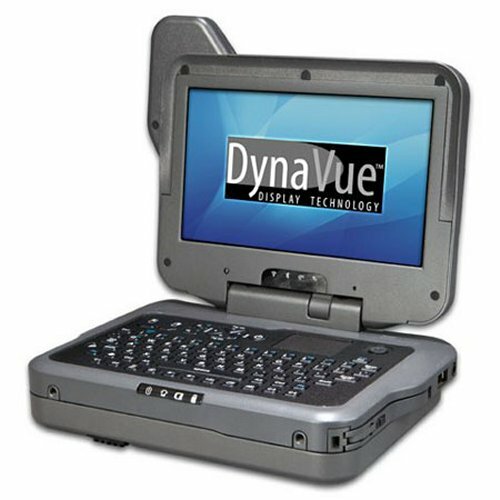 If you are in the market for a rugged laptop, check out the GD2000 fully-rugged PC from General Dynamics Itronix. It features a 1.2GHz Intel Ultra Low Voltage Core Solo processor, a highly sensitive GPS and a 5.6-inch daylight-viewable DynaVue (1024 x 600) touchscreen display. There’s also a hot swappable Lithium-ion battery pack, so you can replace the battery without system interruption. That’s pretty handy all by itself. A MicroDIMM memory expansion slot gives you increased memory space and it has an ergonomically designed keyboard. 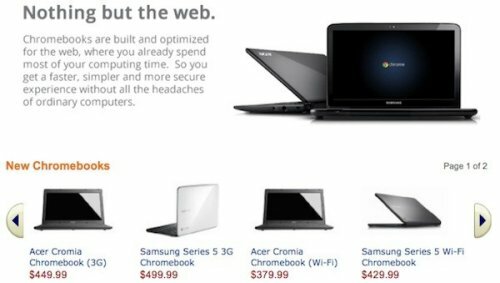 If you want a Samsung Series 5 Chromebook you are in luck. You can get your order in at Best Buy and Amazon. Samsung’s Chromebook is available in white and silver starting at $430. They also have Acer’s Chrome OS-based notebook, the Acer Cromia, which starts at $380 for the WiFi-only model. There is no ship date revealed by either retailer yet, but Google previously stated that they will be arriving on June 15th. 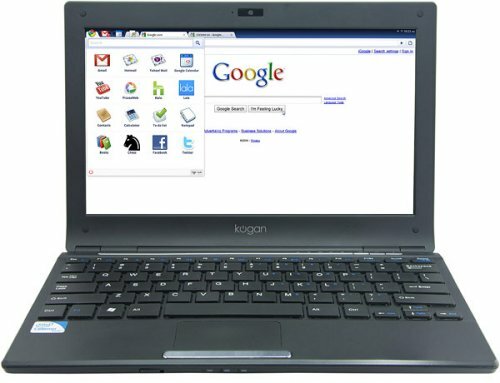 Kogan is adding a Chromium OS laptop to its Google-powered Agora products. 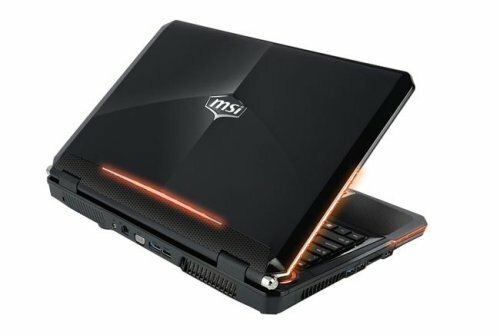 The 11.6-inch computer packs in a 1.3 GHz Celeron processor, 1GB of RAM, and a 30GB SSD. That’s not very encouraging, but it does have cloud-based storage and Google’s open source Chromium. 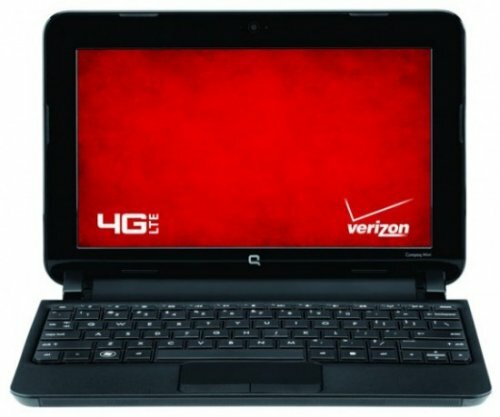 Other features include a 3.5-hour battery, SD card reader, webcam, Bluetooth, and an HDMI output. The Agora is only available in Australia for AUD 349, about $372 and the UK for £269, about $440. When you use your notebook directly on your lap, things can get hot. You can always get a notebook cooler, but most aren’t made for use on your lap and they are often bulky and uncomfortable. Well Cooler Master is here to solve your problems and keep your lap cool enough so that you can still bear children. Their new notebook cooler called the NotePal LapAir is specifically designed for use in your lap. It features a soft sponge mat on the bottom for comfort and you can use it on a desk or table too. Other handy features include some cable management grooves, it is powered from your USB port and also has a second USB port. If your laptop is known to overheat, then you better get a laptop cooler, before it melts down. But the problem with coolers is that every laptop gets hot in different places, and not every cooler will work for the same laptop. 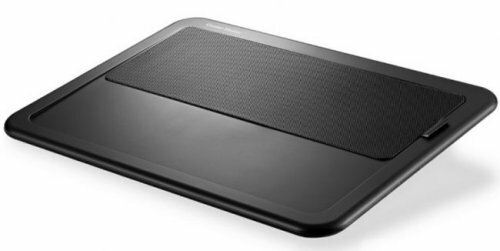 The iGo Arctic Laptop Cooling Pad should do the trick. 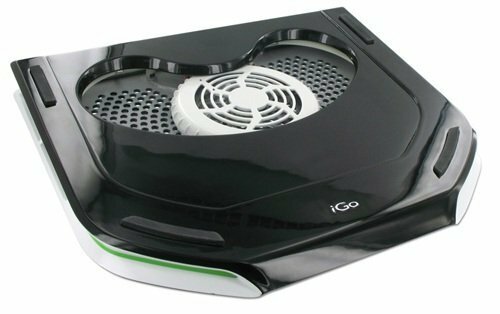 It houses a movable fan so you can make sure the right spot gets cooled, making it more effective. It is powered by a removable USB cable that can be stored inside the cooler itself when not in use, and it features an ergonomic design to make using it more pleasant. You can pre-order it now for $29.99 and it ships out on March 22. 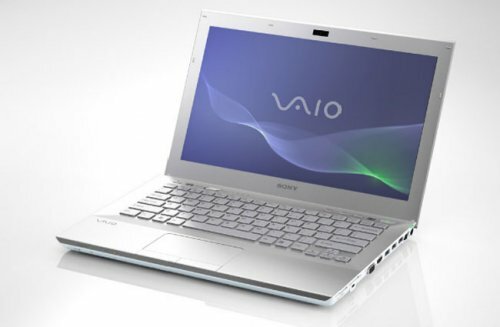 Sony has added a new notebook to its vaio lineup today that falls into that portable category. It is called the Vaio S series. The notebook features a magnesium frame and weighs just 3.8 pounds. The profile is just under an inch thick and it has a battery good for 7.5 hours per charge. It is also the first notebook to have a sheet battery that fits on the bottom and promises to double the running time. The 13.3-inch screen features a resolution of 1366 x 768 and it can be fitted with an Intel Core i7 CPU at 2.7GHz. Storage is up to 750GB and a 250GB SSD is optional. There is also up to 8GB of RAM and a Radeon HD 6630M GPU inside with hybrid graphics. Pricing starts at $969.99. GammaTech, the company that sounds like they gave the Hulk his powers, has introduced a rugged notebook in the 15.6-inch Durabook S15C. It sports a magnesium alloy case and conforms to 810G military standards. The hard drive is encased in a cable that will absorb shocks and the keyboard is spill-resistant. The optical drive bay even has a lock-out that will prevent it from opening when the notebook is dropped. There is also double protection battery circuits to prevent overheating and over-voltage damage. Yes, they went above and beyond with this one. If waterbeds are good enough for humans, then why not our laptops? It should enjoy the same luxury. 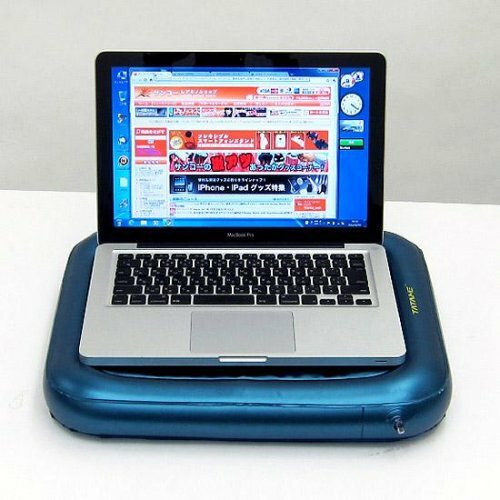 That’s what Thanko seems to think, since they are now offering the PC Waterbed, which is a cushion and a cooling unit for your notebook. It will cost you $24 and I’m sure it’s all good until you puncture this thing and kill your notebook dead. It will be cool, just like you want, but dead. Is that worth $24? You decide. Apple’s MacBook Air is still enjoying being the slimmest notebook around, since the Dell Adamo has been axed. Soon it will have some competition though since Acer, Asus and Lenovo are all planning to launch new ultra-thin notebooks in the second quarter of 2011 and they will feature components that are more competitive than Apple’s MacBook Air. That means that they can sell them at a lower price. Acer will release its new Timeline notebooks, Asus will has its U-series slim models and Lenovo is offering new ultra-thin models of its IdeaPad. The prices on these notebooks should be below $1,000. If you’ve been drooling over the AMD Fusion Zacate chips, Sony Style is now offering the VAIO Y. Sony Style is offering pink and white models for $600. For that price, you’ll get an 11.6-inch notebook powered by a dual-core E-350 1.6GHz processor, with Windows 7 Home Premium 32-bit running the show. If you’re looking for something a bit cheaper, Amazon is offering a lower-end model that features 2GB of RAM and 320GB of storage for $50 less. Your wait is over. Looking for a new gaming notebook? The MSi GT680R-008US, which is equipped with Intel’s new Sandy Bridge platform might be what you want. It’s powered by an Intel Core i7-2630QM CPU with 8GB of RAM and a total of 1TB of storage from a pair of 500GB 7200 rpm HDDs. It also packs an NVIDIA GeForce GTX 460M with 1.5GB of DDR5 RAM. Other features include 802.11b/g/n WiFi and Bluetooth connectivity, THX TruStudio Pro, MSI TDE technology to help squeeze the most from your machine with accelerated CPU performance and MSI Cooler Boost technology. It also has USB 3.0 ports, built-in 720p HD webcam, and HDMI output. 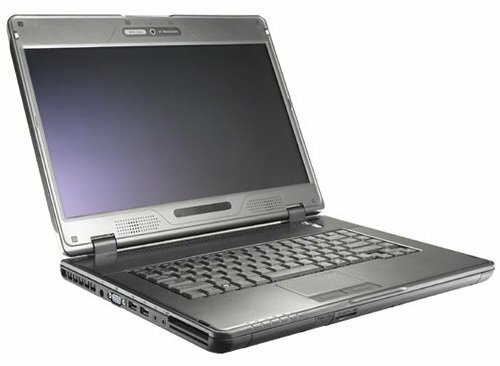 Remember Google’s Cr-48 Chrome notebook? Maybe you thought that the notebook looked too much like every other notebook out there. Well, fear not. Google has come up with a cheap gimmick to make it stand out from the pack. Looks like the notebook is shipping with stickers that you can put on it. They are very colorful and obviously Chrome themed. The one above looks really nice. 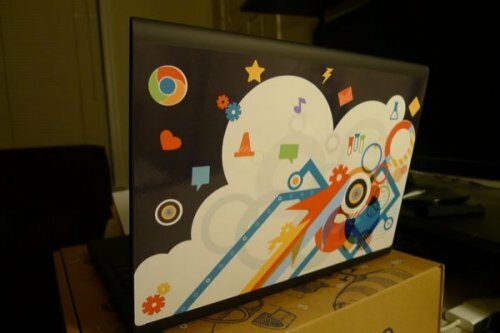 Maybe this will start a new trend of colorful laptop lids from manufacturers if they all start shipping stickers. 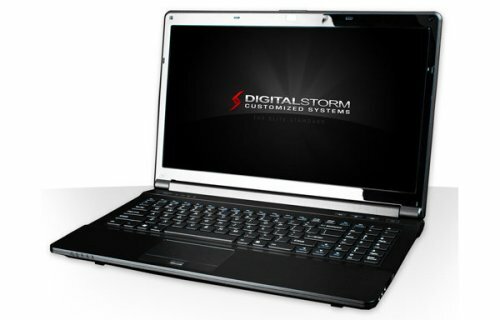 The Digital Storm xm15 notebook is a 15-inch notebook that will ship in various hardware configurations. The base model features a 2.4GHz Core i5 processor, a 1366 x 768 resolution display and NVIDIA’s 1GB 425M discrete graphics chipset. Or you could go all out and add a 2.67GHz Core i7 CPU, 8GB of RAM and a 1920 x 1080 resolution LCD display. It’s your call. All configurations make use of NVIDIA’s Optimus system for automatic switching between the discrete GPU and integrated graphics processor. Some other specs include HDMI and VGA outputs, optical audio ports, USB 3.0 ports, and eSATA ports.